There are a large number of devices that can be integrated to a liquid handing instrument in order to perform a specific assay. Proper selection, placement and integration are key to successful automation of the process. Konnis offers hardward Device Drivers, to control hardware, and software File Formaters, to create compatible input files to processing systems. Integration of hardware automation devices may occur on an existing instrument, or when purchasing a used instrument from Konnis. If the device driver does not already exist one can be written. Drivers are delivered as an executable to maintain flexibility and compatibility. Device drivers are used to control the device directly or through the instrument’s software. The modular structure of our software and hardware components produce a very maintainable instrument. What do you need on your deck to facilitate your process? Check out Automation Devices. Konnis has drivers for many devices. If we do not already have the driver, we can write it. Browse list of Konnis device drivers. Some assays rely heavily on sample tracking such as LC/MS and NMR sample preparation. Konnis builds File Format Tools that automate the liquid handler sample output file and reformat it for the analysis device. A File Format Tool tracks the samples through recording the barcode and tube location along with what was done to the sample, then maps the input samples to the output tube or plate location and formats the file so the final system can directly use it as input. The tool creases throughput and reduce human error. Fmerge – Tracks and merges sample data for NMR system. 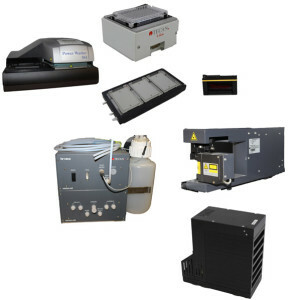 LC/MS Integrate – creates properly formated input file for LC/MS system.